Is the Paleo Diet a Good Fit for Bodybuilders? Does the paleo diet really work, and is it right for you? Discover exactly what all the fuss is about, and whether this should be the foundation of your bodybuilding nutrition. Paleo is Popular…But Does it Really Work? There are lots of diets that come on the market presenting themselves as a panacea for people wanting to get healthier and leaner. The Paleo Diet is another example of one of these diets and it has gained a lot of followers inside and outside the world of bodybuilding. Some believe that this diet is appropriate for bodybuilders, while others think that it has no place at all in the bodybuilding world. This article will explain the Paleo Diet, give its advantages and disadvantages so that you will be able to determine whether or not it’s a good fit for bodybuilders. The Paleo Diet refers to a period in history that existed over 2.5 million years ago. At this time, humans were hunter-gatherers and ate the foods they found while they were roaming the earth. These foods included such things as meat, seafood, eggs, nuts, vegetables, fruits, and seeds. In modern day society, people who follow the Paleo Diet are allowed to eat all of these things (and healthy oils), but they are not allowed to eat processed and refined foods, dairy, potatoes, and legumes. 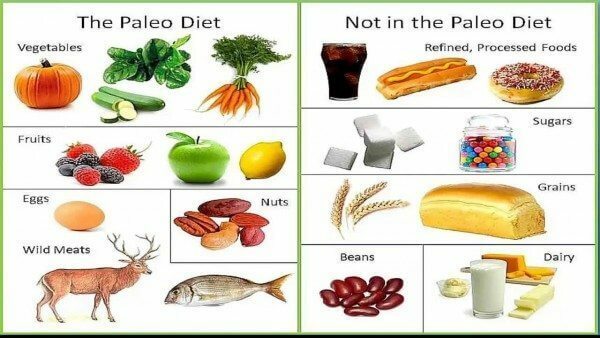 The Paleo Diet is great for those wanting to lose weight quickly. Most of the foods that are high in calories are excluded from this diet. Complex carbs, dairy, and junk food are all prohibited on this diet. This leaves foods that either are high in fiber or high in protein. Both high-fiber and high-protein foods also have high-satiety levels. This means it doesn’t take a lot of these foods to make you feel full, so the tendency to overeat is decreased or eliminated. This provides dieters with a way to eat without always counting calories. For a bodybuilder, one of the greatest advantages of the Paleo Diet is the high protein content. All forms of protein are allowed in this way of eating. This way of eating would help bodybuilders maintain their lean mass while easily losing body fat. 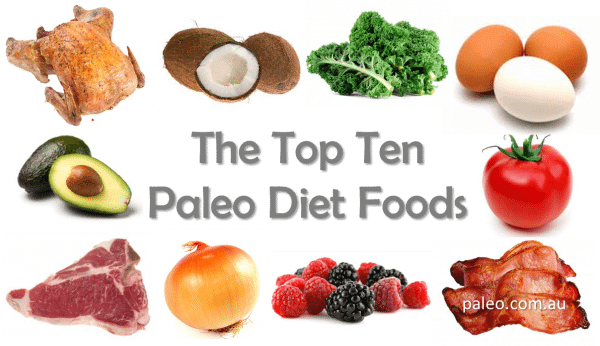 Another advantage of the Paleo Diet is that it focuses on healthy foods. Not only does it call for eating lots of protein, but the diet advocates eating grass-fed meat and wild fish. These forms of meat are free of antibiotics and hormones that can be harmful to people. ​In addition to that, it stresses eating organic fruits and vegetables. Fruits and vegetables contain lots of fiber, antioxidants, vitamins and minerals and help the body combat diseases such as cancer, heart disease, and diabetes. Proponents of the Paleo Diet enjoy a better sleep at night. This is mainly due to eliminating the intake refined sugars and processed foods. These foods disrupt the normal circadian rhythm of your body, making you feel like you want to stay awake when it’s really time to sleep. Improved sleep means better recovery, and, for this reason, the Paleo Diet could benefit bodybuilders. The biggest disadvantage of the Paleo Diet for bodybuilders is that it restricts most forms of carbohydrates. Fruits and vegetables are allowed, but they don’t provide enough carbs to fuel your workout session. As an athlete, you are putting strenuous demands on your body. You want it to be able to lift heavy weights and then you want it to be able to strengthen your cardiovascular system through aerobic exercise. The body’s preferred form of fuel comes from carbohydrates. As mentioned before, high-fiber foods also have a lot of fiber, which makes you feel full quickly. Trying to get all your carbs from fruit will be a really difficult job because after a few bananas or apples you’ll feel full. But, if you are an athlete that works out hard and consistently, you will need more carbohydrates. Another disadvantage of this diet is that it’s very restrictive. It can be a very healthy diet, but it will constantly challenge you. With this diet, if you truly follow it, never allows you to eat any carbs except fruits and vegetables. ​Few people have a will made of stone. In our society we are constantly tempted by sweet treats like ice cream, cake, and cookies. Pizza is a very popular food and on this diet, you can’t eat it. You can find some version that will be made of vegetables or some other variation, but for most that just won’t cut it. Eating a variety of foods is not only good for the body, but it’s a way to get a break from eating strictly and just enjoy life. The Paleo Diet is great for those who want an easy way to lose weight, but it is not a good lifestyle choice for bodybuilders. Bodybuilders are athletes who need some complex carbohydrates to fuel their workouts and help them build muscle. Following this type of diet during cutting phases may be acceptable, but due to the complete absence of complex carbohydrates and its restrictiveness, this diet is not a good fit for bodybuilders.